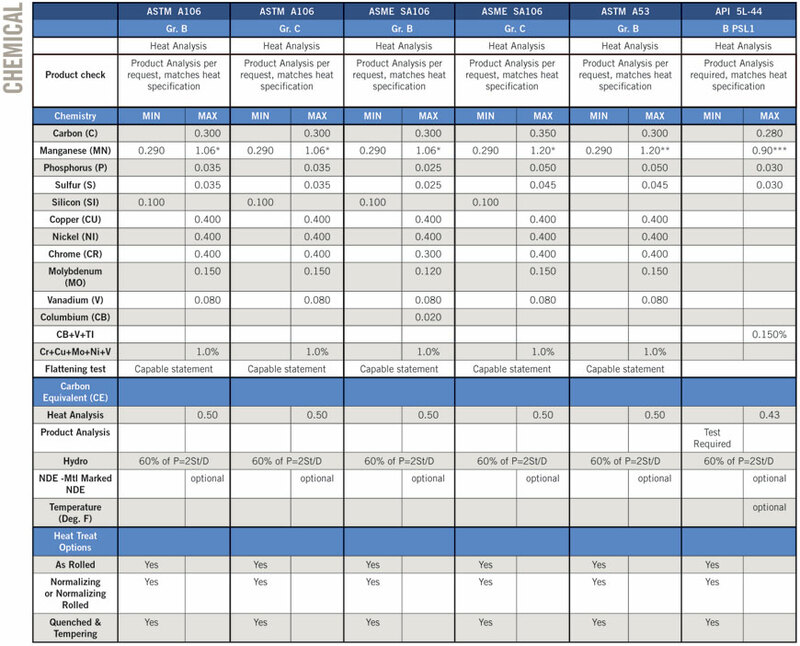 For each reduction of 0.01% below the specified carbon maximum, an increase of 0.06% manganese above the specified maximum will be permitted up to a maximum of 1.50% grades X42 – X52, 1.65% above X52 – X70. For each reduction of 0.01% below the specified carbon maximum, an increase of 0.06% manganese above the specified maximum will be permitted up to a maximum of 1.35%. 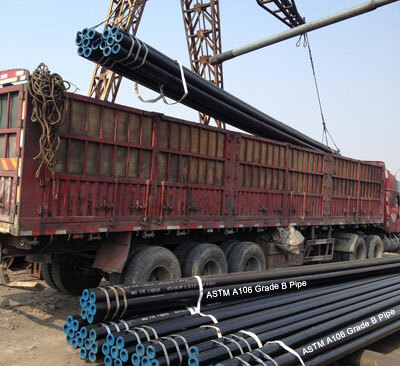 1.1 This specification covers seamless and welded black and hot-dipped galvanized steel pipe in NPS 1/8 to NPS 26 [DN 6 to DN 650] (Note 1), inclusive, with nominal wall thickness (Note 2) as given in Table X2.2 and Table X2.3. It shall be permissible to furnish pipe having other dimensions provided that such pipe complies with all other requirements of this specification. Supplementary requirements of an optional nature are provided and shall apply only when specified by the purchaser. Note 1. The dimensionless designators NPS (nominal pipe size) [DN (diameter nominal)] have been substituted in this specification for such traditional terms as "nominal diameter," "size," and "nominal size." Note 2. The term nominal wall thickness has been assigned for the purpose of convenient designation, existing in name only, and is used to distinguish it from the actual wall thickness, which may vary over or under the nominal wall thickness. (1) The total composition for these five elements shall not exceed 1.00%. Inspection test pressures produce a stress in the pipe wall equal to 60% or specified minimum yield strength (SMYS) at room temperature. Maximum Pressures are not to exceed 2500 psi for NPS 3 and under and 2800 psi for the larger sizes. Pressure is maintained for not less than 5 seconds. 2 -- 4 1/32" 1/32"
5 -- 8 1/16" 1/32"
10 -- 18 3/32" 1/32"
20 -- 26 1/8" 1/32"
Smaller than NPS 8 -- weighed in lots. Larger sizes -- by length. Flattening Test - NPS 2 and larger. Bending Test(Cold) - NPS 2 and under. Double Random -- Minimum length 22', Minimum average 35'. 5% may be 16' - 22'. • Manufacturer's name or brand. • A106 A, A106 B, A106 C. ANSI schedule number. • Additional "S" if tested supplementary requirements. * Unless otherwise specified, pipe furnished with plain ends. * Purchaser may specify NDE in lieu of hydrostatic test or neither. * Surface finish standards are outlined in specification.